As I was sitting in a taproom in Denver, Colorado, enjoying the last drop of sour beer from my delicate snifter, the friendly bartender passed by to proposition me for another. 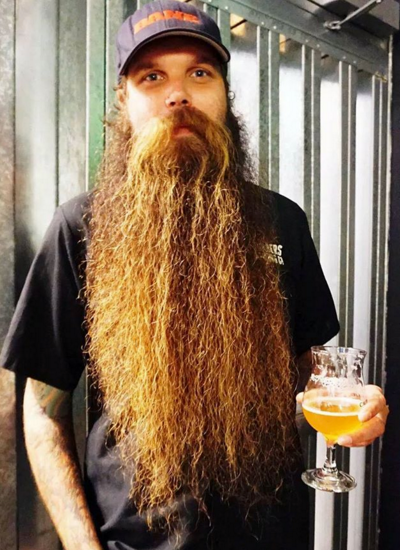 As he began to explain the intricacies of the extensive variety of wonderful and unique beers that they had on tap, I couldn’t help but admire this man’s beard. This wasn’t just a man who had been too lazy to shave for a few months and eventually found himself with a beard, this thing had been planned and managed with care. This guy would get along with the likes of Zeus, Abraham Lincoln, and King Leonidas as they would have unquestionable respect for his facial hair. Wondering why my brain all of the sudden became so interested in beards, I tried to focus on the task at hand and select my next beer. 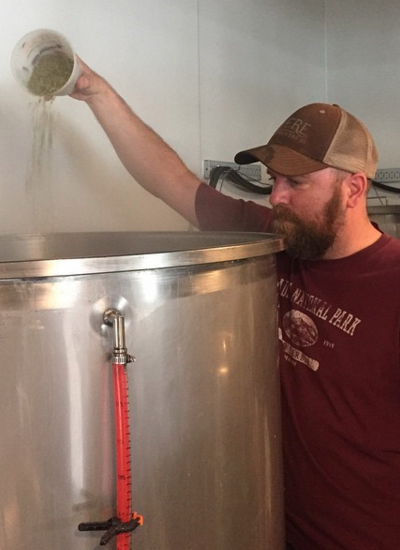 As my mind drifted between moving to something hoppy or sticking with something sour, I noticed a man step out from the brewing facility on the other side of the taproom. This man was clearly the brewer at this fine establishment and I’ll admit that the first place my eye’s locked on were to this man’s chin. To be more accurate, I gazed over at the area where his chin would normally be if it weren’t covered by a thick web of dark hair organized into a fine beard. His facial hair was even more impressive than his bartender and he just looked like a man who would brew beer for a living. Now I am not a man who possesses the ability to grow a beard. My father (who also suffers the same affliction) always liked to tell me it was because we were advanced members of the species. Meaning if you believe that we evolved from monkeys who had hair all over their bodies, as we became humans, part of the evolution process was to grow less body and facial hair. This means that men who grow less hair on their face are further along in the process meaning they are also far smarter and refined than those who have the unfortunate ailment of still growing pesky hair on their face! Now I understand that this might sound ridiculous, but it has helped me get through some serious bouts of beard envy, so I’m just going to go ahead and hold onto it. Along with not being able to grow a beard, I’ve also never been the best at brewing beer. I’ve tried using kits, brewing with friends, brewing alone, and just some good old-fashioned experimentation. For some reason, the beers never really turn out how I expected them too. As science nor cooking were really my things, I used that as my excuse and just turned to my true talent which is drinking beer. Something I never considered as to why I wasn’t able to successfully combine water, hops, malt, and yeast into a delicious concoction, was the fact that I was attempting to do so with a naked chin. It wasn’t about miscalculating the amount of time I needed to boil my wort, or accidently dropping an unsanitized spoon in my brew kettle. The reason why my attempts to brew beer were unsuccessful was that I was missing a beard. I’ve tried to grow a beard before. I mean really tried. Despite my friends and colleagues telling me that my facial hair looks more like the little patch of hair on the fleshy fun bridge connecting the two areas where my body excretes waste, I just let it grow anyway. Eventually, I had to face myself in the mirror and I realized they were right. Even if I was trapped in the wilderness of Alaska for a year hunting bears and living in the woods, my chin would never experience the warmth and comfort of a magnificent beard.